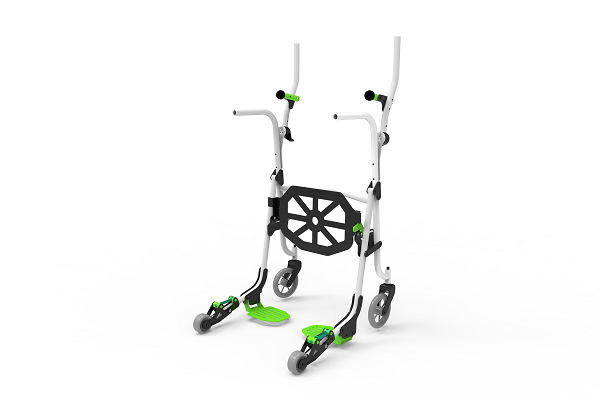 EZStand Walker is designed to assist aged people and patients with hips or balancing problems. 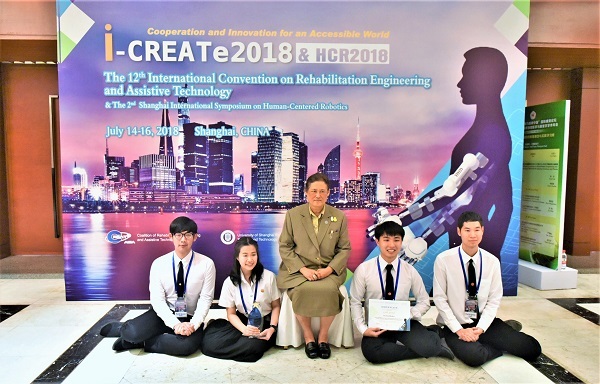 It is invented by Mr. Warath Sitlaothaworn, Mr. Pannatorn Treewattana, Miss Chaniya Charoenkunnatham, the students of Machanical Engineering Department, Faculty of Engineering, Thammasat University. The supervisor of the project is Asst. Prof. Dr. Bunyong Rungroungdouyboon. The Walker won the Gold Award in Design Category in the i-CREATe 2018 conference at Shanghai, China. 1. ‘Easy to stand’ which supports the knees and balancing. 2. ‘Easy to walk’ which accommodates the need of aged people by incorporating an automatic breaker. 3. ‘Seat function’ which can also serve as a chair.